Brown soot-filled skies darken this San Francisco day as homes and fields burn a few miles north in Napa and beyond. It is the worst regional fire here in generations. 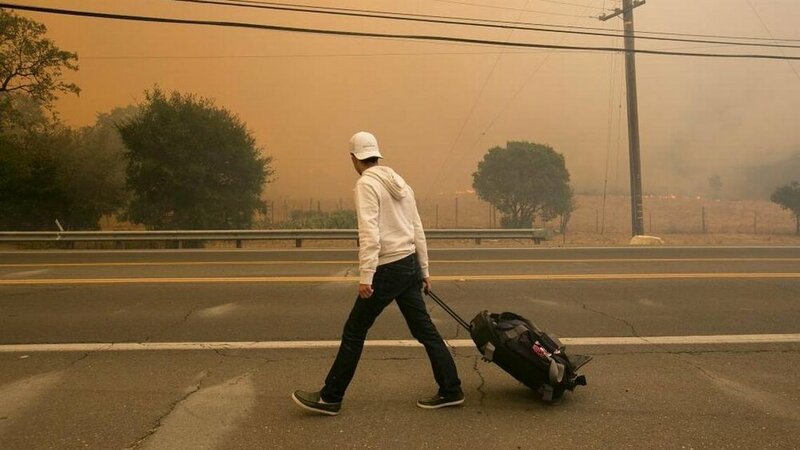 Texas, Florida, Puerto Rico and now Northern California — tourist destinations all — are reeling from a death toll and economic hit brought by hurricanes, floods, and fires. Rebuilding everywhere will be expensive, and federal money will only go so far. America’s nearly $500 billion annual tourist industry would be expected to help fuel the revenue growth that will fund local economic resurgence. On the heels of the Donald Trump election, Las Vegas mass shooting, Muslim travel bans, an alt-right resurgence, and a palpable negative shift in how America is perceived globally, nations are issuing U.S. travel warnings and fanning fears of an America that no longer welcomes foreigners or succors its own citizens.